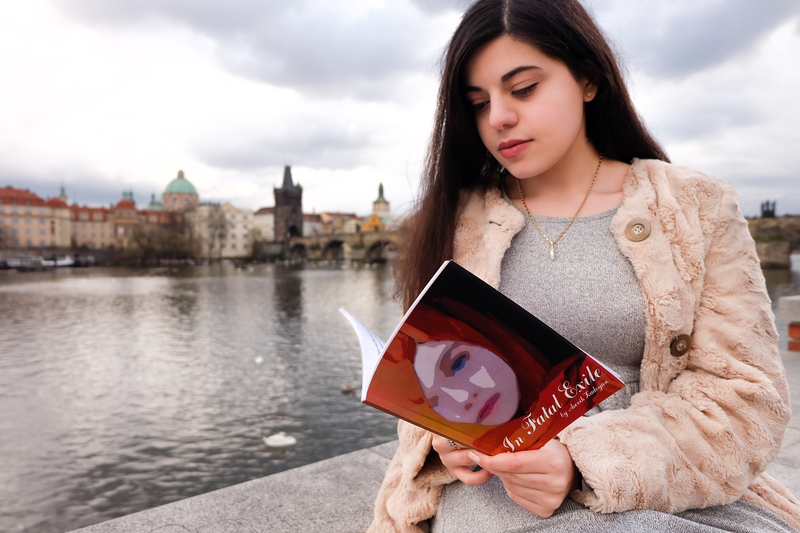 An 18-year-old Anglo-American University student has published a book based on her great-grandmothers’ experiences in the Armenian Genocide. 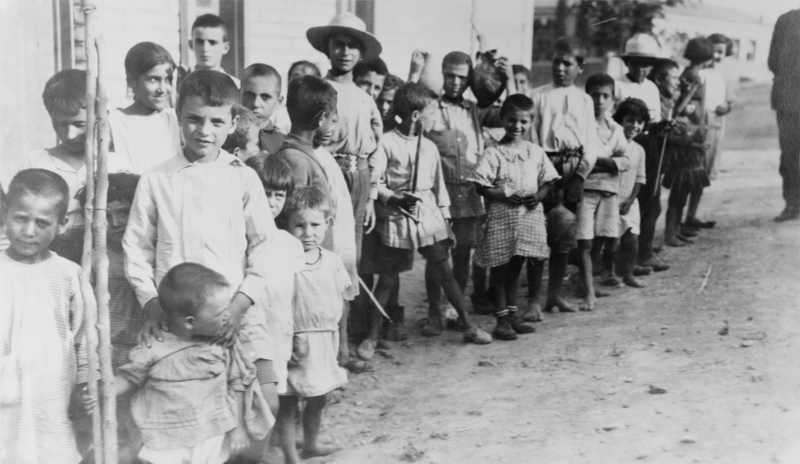 Arevik Zadoyan wrote “In Fatal Exile” to commemorate the 100th anniversary of the tragedy and raise awareness in the non-Armenian community. Despite the family connection, she tried to approach the controversial issue in an unbiased way, presenting events objectively. “As a devotee of literature, I decided to produce something that would be honorable for my country,” says Zadoyan, an International Relations student. 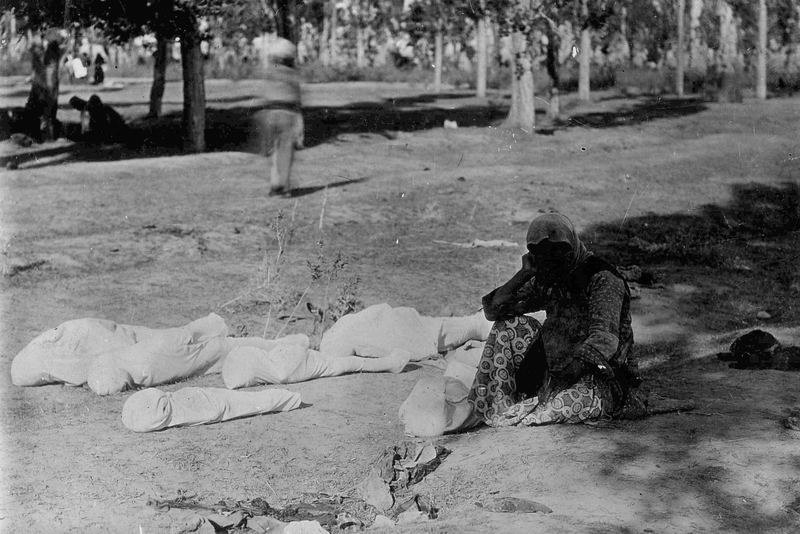 She dreamed of having her novel released on April 24, the centenary of the genocide. But faced with the pressure of her studies, she had to put it off until late July. 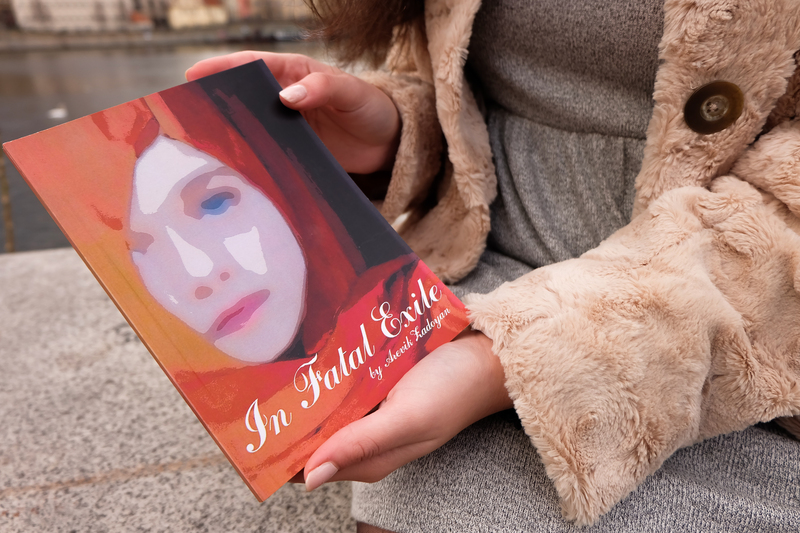 With the desire of having a hard copy of “In Fatal Exile” as soon as possible, the 18-year-old self-published it and became a happy owner of 150 copies. The design of the 86-page book was created and composed by Zadoyan herself. She painted the cover, depicting a young Armenian girl whose face is half-covered by a flame-red scarf in the protective manner used by refugees. A pattern for a frontispiece image was copied from the large 811-year-old Armenian manuscript “Homilies of Mush (Msho Charntir)” kept at the Mashtots Institute of Ancient Manuscripts. 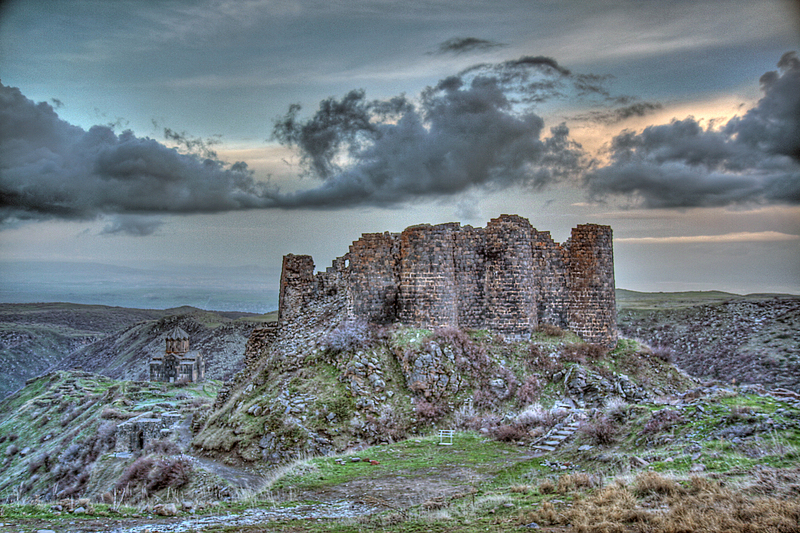 The book describes the years of World War I and the fate of thousands of Armenian inhabitants of the city of Kharberd. 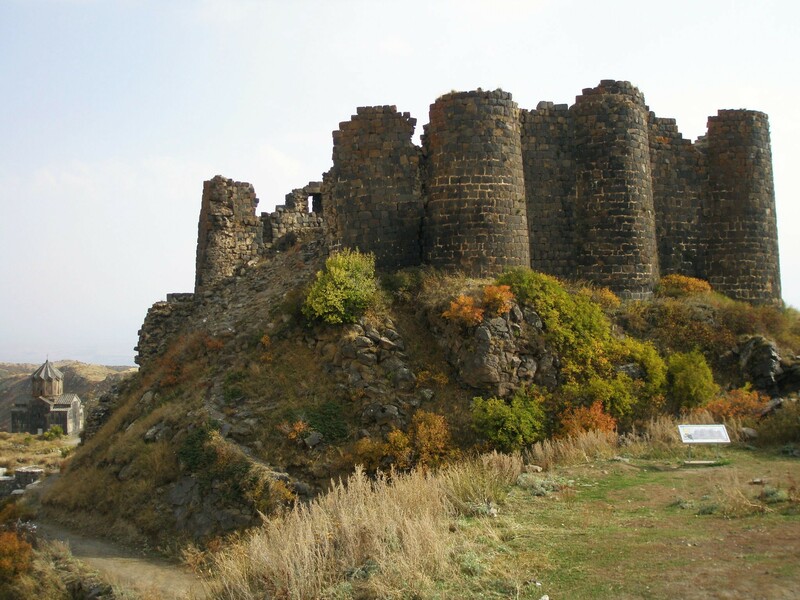 The protagonist, a young Armenian girl named Anna, goes through fire and water, suffering and witnessing the atrocities committed by the Turks against her family and neighbors. Finally, taken away by Soviet soldiers from the center of violence, she survives to pass on the story to her descendants, inspiring her great-granddaughter’s book. 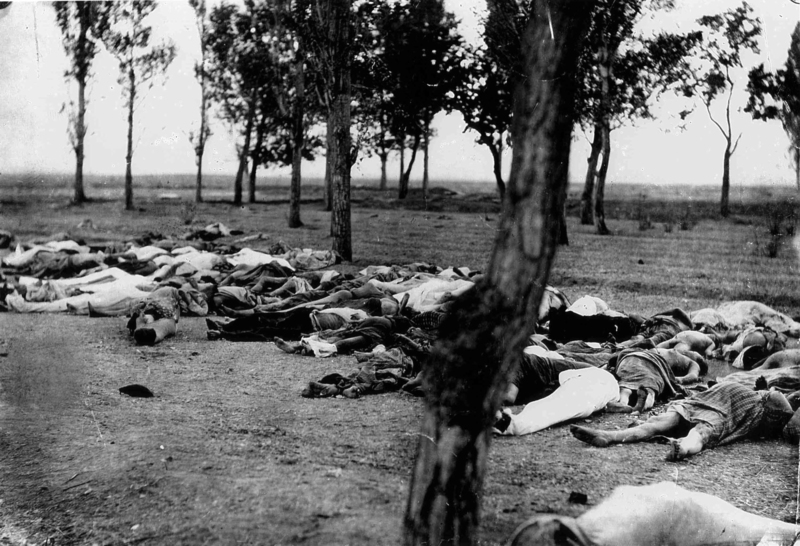 The mass murders of the Ottoman Empire’s Armenian population from 1915 to 1918 are now recognized as genocide by 26 countries, including Russia, Germany and, since April 12, the Vatican. Zadoyan wrote the book in English for just this reason. “My grandfather always wanted to immortalize his mother’s story,” Zadoyan says, explaining that her family holds audio tapes recorded by her great-grandmother. In them, a grown-up Anna tells an incredible survivor’s tale: the execution of her father, a long, exhausting trek to the Turkish pasha’s house, where a young girl was taken to become his fifth wife and her miraculous salvation in a battle where the blood of thousands was shed. Inspired, Zadoyan kept listening to the tapes and in January, when Armenia was preparing for the centennial of the genocide, started writing the book. 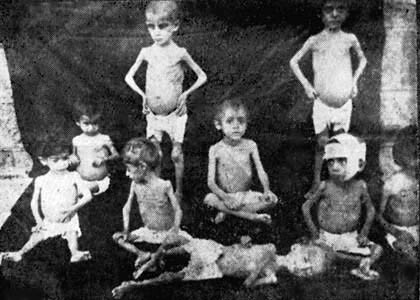 She was especially touched by Anna’s feeling of numbness from her mother’s suicide; she drowned herself with her youngest child to avoid captivity by the pasha and give her daughter a chance to escape. “I felt the same numbness when my grandfather passed away, and I know that your brain collapses from the idea of losing someone so dear to you,” Zadoyan says. With a full-time study schedule, she had to write on the way to school and during breaks. Occasionally, she had to put the novel aside for about a week. But the breaks gave her time to come up with more details and secondary scenes essential for building an authentic story. Zadoyan tried to stay unbiased and refrain from presenting Armenians as saints and portraying all the Turks in a strongly negative way. She gave positive names to members of the pasha’s household; both his daughter Ahu (“beautiful eyes” in Turkish) and second wife Sülen, (“bright stars”) are very kind to Anna. The pasha is a controversial character – he kills people by order of the Ottoman government, but he is not a natural killer and prefers to philosophize. Zadoyan stepped into the book as an objective third person, only observing and presenting the tragedy of one girl as a metaphor for the whole nation. But Zadoyan was also fascinated by the omnipotence she felt while writing. “It made me feel like a god or a demigod, because you are deciding whether to kill or bring the characters to life,” she says. Control over the fates of the characters, even if restricted by biographical facts, was very appealing to the young author. During the writing process Zadoyan found a trace of Anna’s long-lost brother, who escaped to Chicago after the events described in the book, during which the siblings were separated. The day their descendants found each other was a big one for both families. Zadoyan found a useful first critic in Lusine Zadoyan, her aunt. Upon completing a passage, the novice novelist would read it out loud, letting her aunt judge if it was good or had to be revised. “I knew everything long before it was published,” the elder Zadoyan says proudly. To her, the subject chronicled is also of a great importance. One of the first few presented with a copy of “In Fatal Exile” was Anthony Marais, Zadoyan’s composition teacher and an experienced writer himself with three books published. He was greatly impressed with her way of approaching such a grave topic. “She is writing about issues that the world should constantly be reminded about and that need to be made public,” says Marais, comparing the book with the recent “Wake Up The Souls Tour” of the Armenian-American rock band System of a Down.